We really take the time to “learn” what you are looking for. We preview homes for you to save you time. We give you a personal tour of homes that match your criteria. We alert you to new listings via daily or weekly email updates. We alert you to listings that will be coming to the market. We prepare an easy-to-read market analysis of homes you are interested in. We help you write a competitive purchase offer. We negotiate with the seller or seller’s agent on your behalf. We arrange for all necessary inspections. 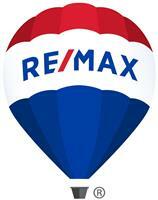 We review the seller’s disclosures and all reports with you. We work closely with your mortgage consultant to meet our deadlines. We communicate with the escrow officer towards a smooth escrow.